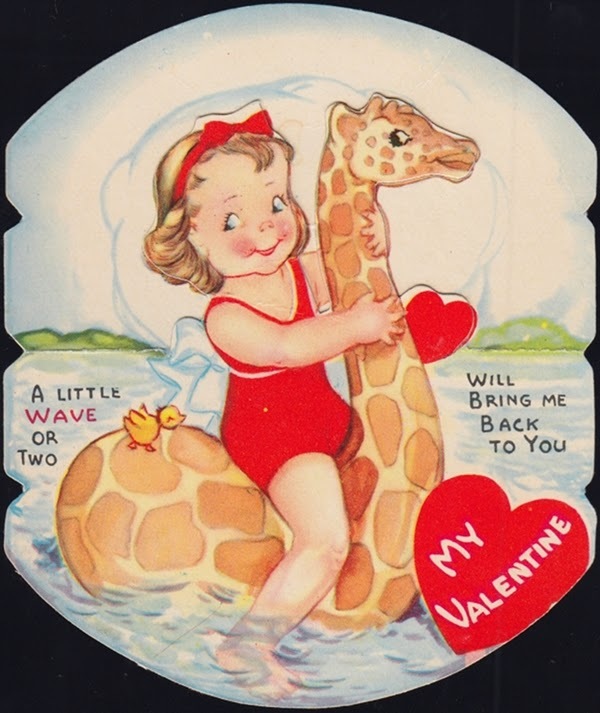 Valentine's Day is coming soon, here is a selection of children's cards from my Valentine's collection. 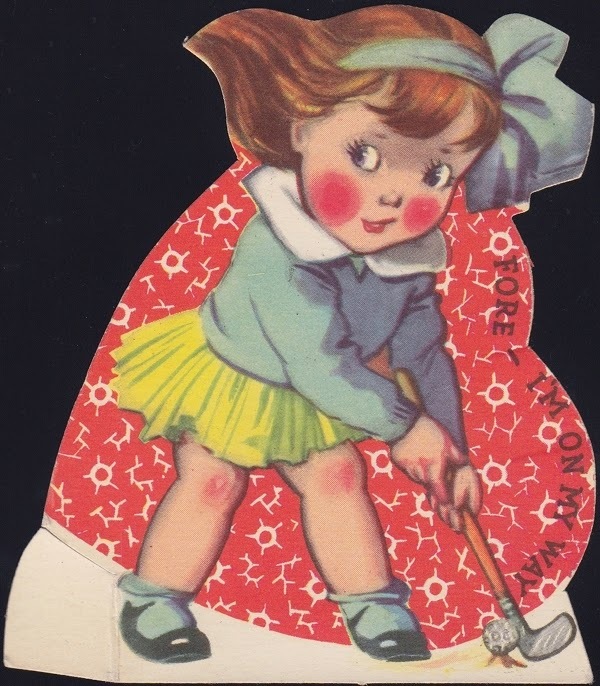 Mum and Dad or Grandma and Grandpa would have given this cute card to the "Sweet little girl" in their lives. 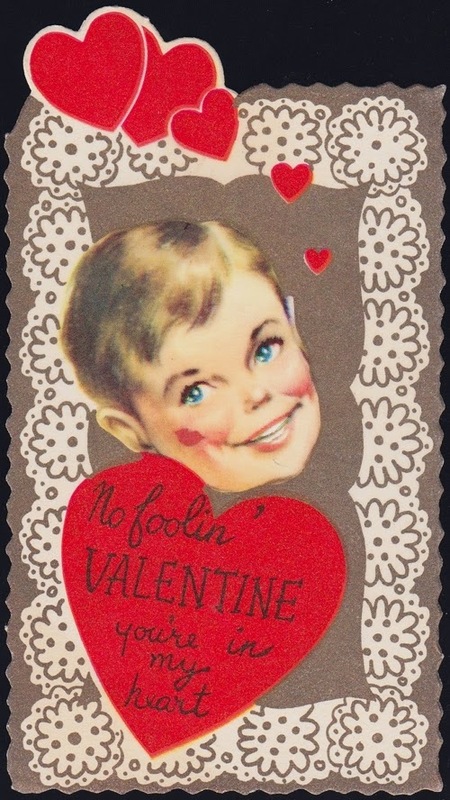 This cute Valentine would have been used for a younger child. Cowboys and Indians in games, clothing, and television were very popular in the 1950s. 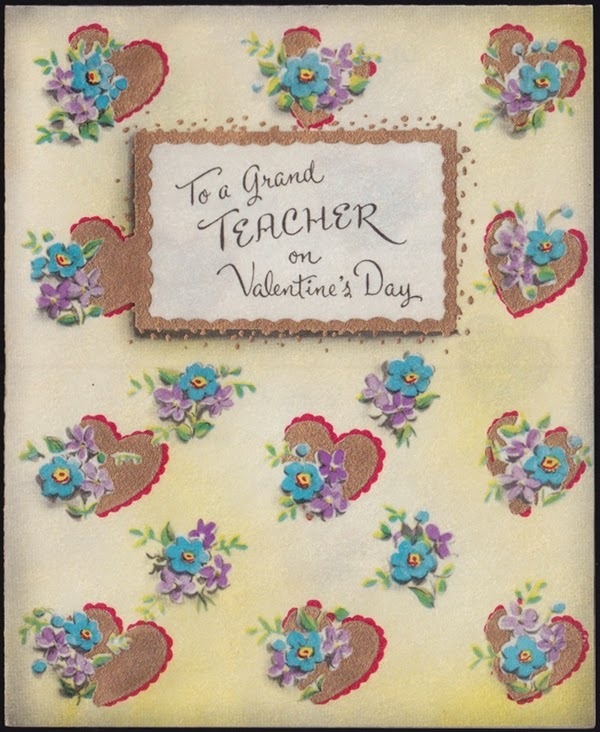 The teacher was not forgotten either; this card is made of parchment paper printed with gold highlights. 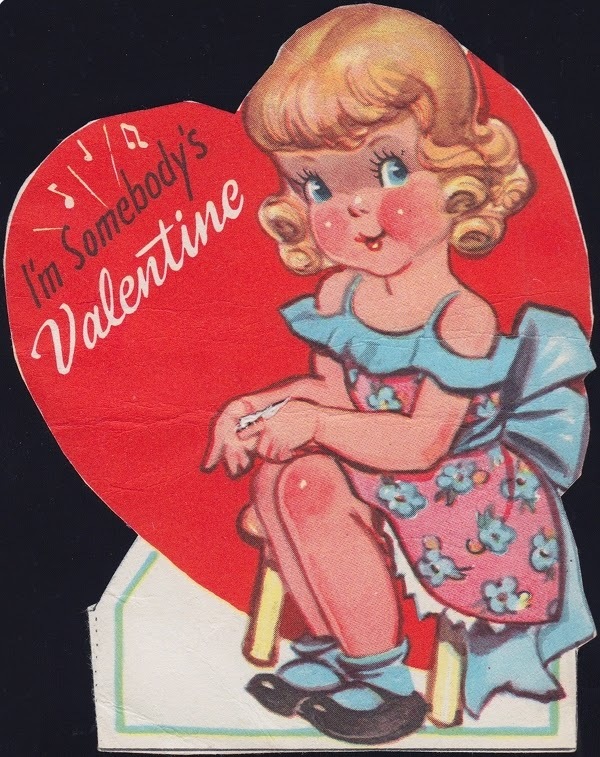 I am not certain but this diecut card may be from the 1920s or 1930s. 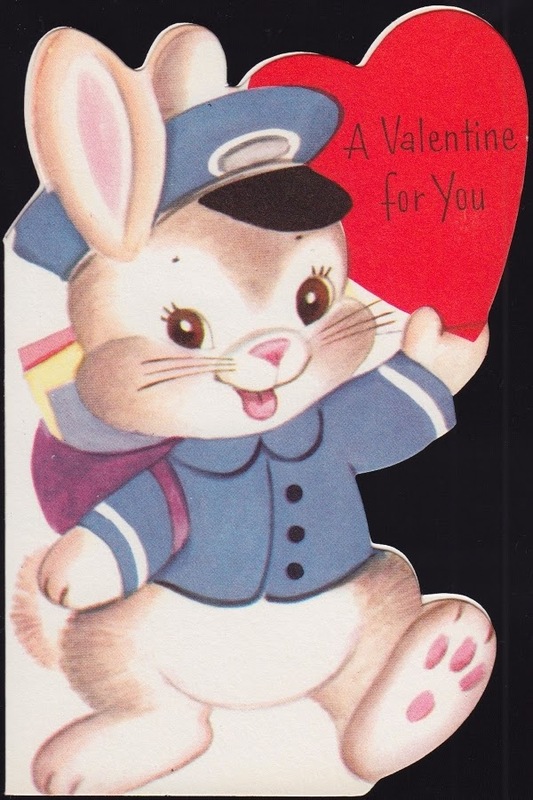 This card like the rabbit Valentine would have been meant for a young child. 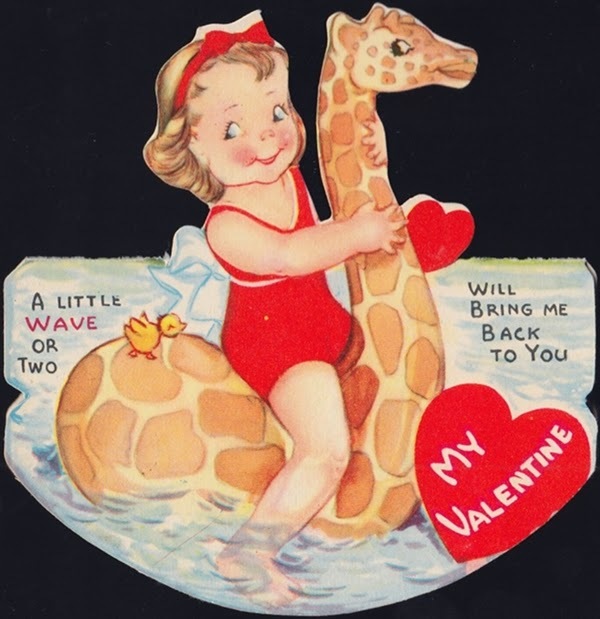 Hand cut from a book of children's Valentines, this bus card is about twice the length shown. 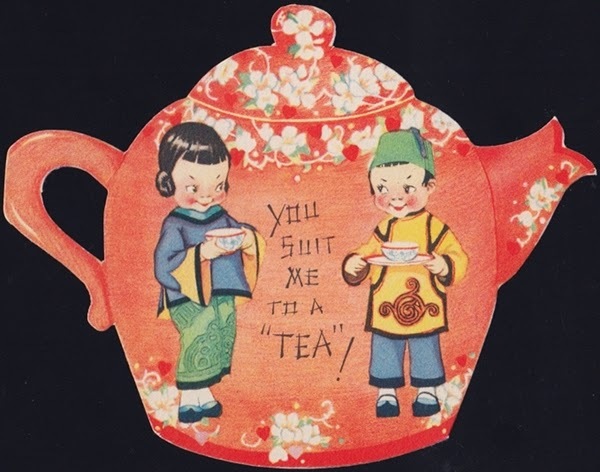 The puns and word play on the children's cards are so corny... and so much fun! 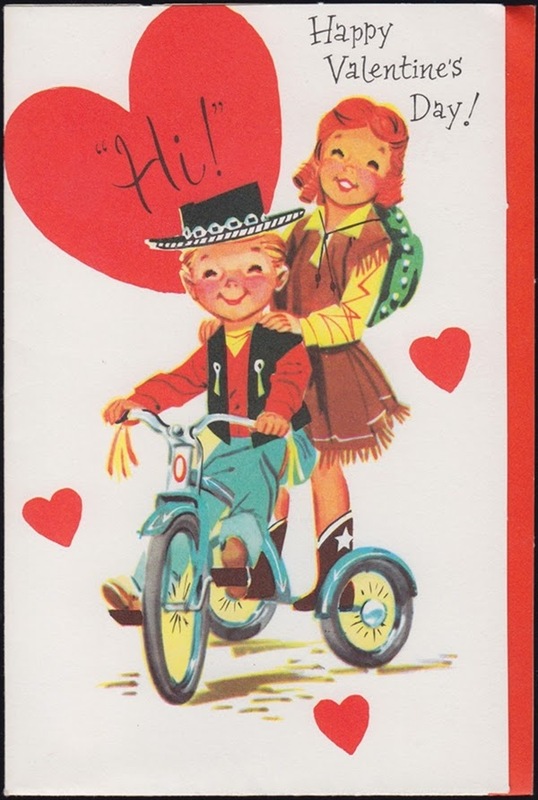 I have scanned this card out flat but it folds in half so that it will stand up and rock back and forth. 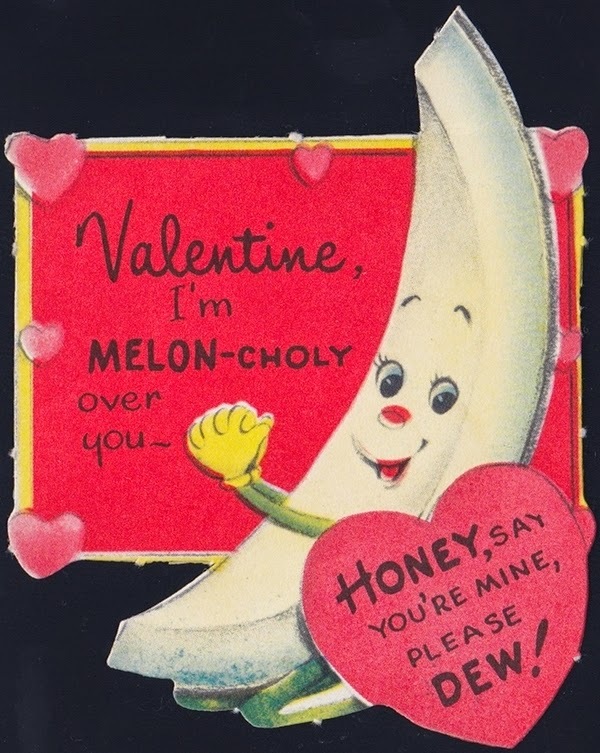 It is a sweet card, it reminds me of a cutie that I know. 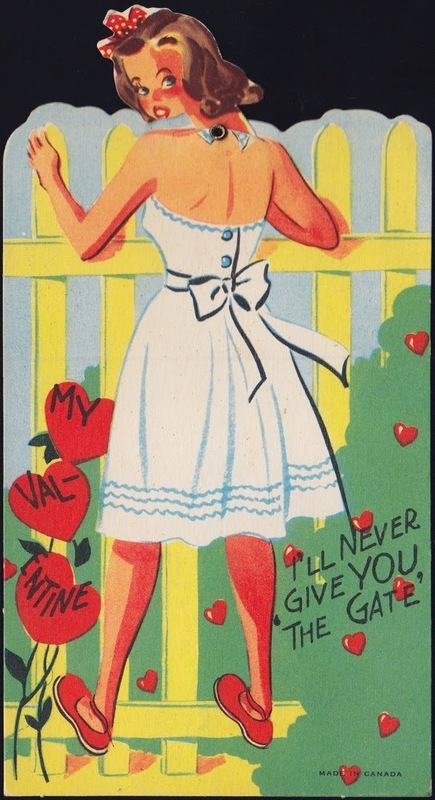 Here is another card hand cut from a book of Valentines. 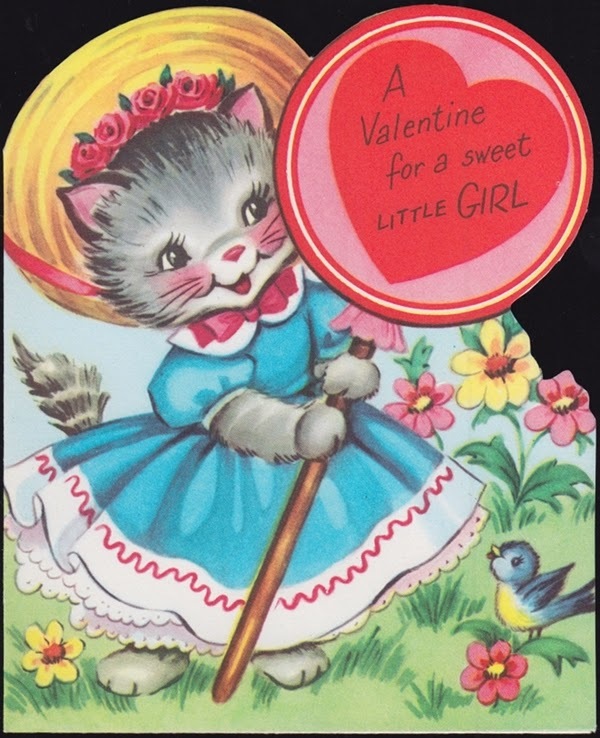 I have no idea as to how old this card is, it would have been purchased in a group of die-cut cards with envelopes included. 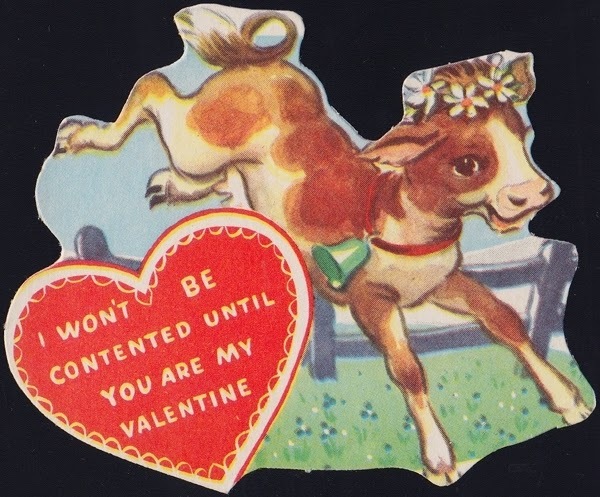 The comment on the card "I won't be contented until you are my Valentine" is referring to the slogan used by Borden’s condensed milk, “The milk from contented cows”. Elsie, the cow was the mascot on the side of the tins proclaiming this slogan. The head of this young girl is held in place with a grommet enabling it to move. The card was made in Canada. 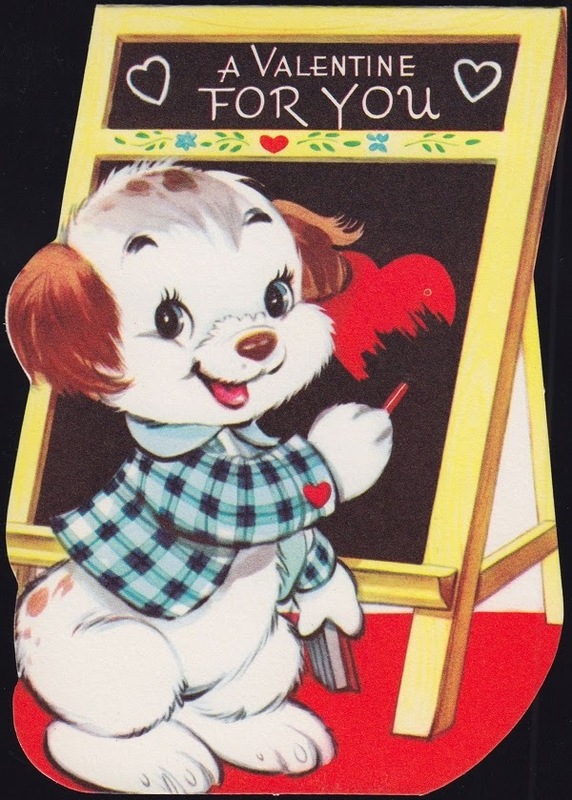 It is never "Puppy Love" the first time as you can see from the star struck expression on his face. I have more tokens of love on the way; so see you soon! Valentines Day book, "Un Petit Livre D'amour"
Valentines Day book "Friendships Token"